Ronnie passed away Wednesday, August 29, 2018 at Hallmark Living in Kalamazoo. He was born October 8, 1955 in Plainwell the son of Joe and Clarice (Bailey) Fitzpatrick. Ronnie had worked at Rock Tenn Paper Mill in Otsego. After the mill closed he moved with his family to Arkansas. There he had worked for Cherokee Village Service Center until his health declined and he retired. In his spare time Ronnie enjoyed following NASCAR, especially Dale Earnhardt Sr. and Dale Earnhardt Jr. In April 1976 he married Maxine Hartwell who passed away in 2015. 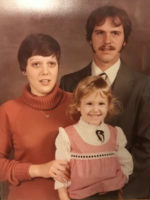 Surviving are his daughter, Heidi Holland of Cherokee Village, Arkansas; 3 grandchildren, Madison, Bailey and Jeremiah; his mother, Clarice Fitzpatrick of Plainwell; twin brother, Rodney Fitzpatrick; sisters, Sharon (Phil) Anson and Kim (Mark) Bourdo along with many nieces and nephews. He was preceded in death by his father in 2009 and his wife. Friends may visit with Ronnie’s family from 5-8 P.M., Friday, August 31, 2018 at the Winkel Funeral Home, Otsego. A funeral service will be held at the Wortham Funeral Home in Arkansas. Burial will take place at Spotts Cemetery in Poughkeepie, Arkansas. Contributions in memory of Ron may be made to American Diabetes Association. Flora passed away Sunday, August 19, 2018 in Kalamazoo. She was born August 28, 1942 in Ft. Wayne, IN to William and Amanda (Perkins) Little. She enjoyed collecting dolls and and spending time with her family. Surviving are her children, Laura (Michael) Rice of Parchment, Joe Collins of Plainwell, Steve (Lynn) Collins of Holland, Eric Collins of Otsego and Amy (Roger) Foley of Otsego; 26 grandchildren; 33 great- grandchildren and her brother, William Little. She was preceded in death by her husband, Merrill Collins; daughters Markellya Collins and Rebecca Taylor; her siblings Fay, Magline, Shirley and Bruce. Contributions in memory of Flora may be made to Joyce Meyer Ministries. Hayes passed away peacefully Sunday, August 19, 2018 surrounded by his loving family at his home in Otsego. He was born in Moberly, Missouri, the son of Bramuel and Ethel (Munden) Belcher. Hayes proudly served his country in the US Marines. He had owned and operated Belcher Welding until his retirement. In his spare time he enjoyed hunting, fishing, reading, being outside watching nature, working in his vegetable and flower gardens and doing yard work. Hayes loved his country and enjoyed participating in many parades with the Marine Corp. For many years he volunteered his time driving veterans to the VA Hospital in Battle Creek. He was a member of the DAV, Kalamazoo Detachment Marine Corps League, Military Order of Purple Heart, VFW, American Legion, NRA and the AMVETS. Hayes married Virginia “Ginny” Williams in Kalamazoo and they spent 58 wonderful years together. Surviving are his wife; children, Dave (Gail) Perrin of Colorado, Dan (Sally) Perrin of Kalamazoo, Linda Perrin of Florida, Carol Dykstra of Plainwell, Steven (Rene) Belcher of Vicksburg and Bruce (Jan) Belcher of Canada; 7 grandchildren; 9 great-grandchildren and several cousins including a special cousin, JoAnn. Friends may visit with Hayes’ family from 6-8 P.M., Thursday, August 23, 2018 at the Winkel Funeral Home, Otsego. A funeral service will be held at 9:30 A.M., Friday, August 24, 2018 at the United Methodist Church of Otsego with Pastor Joe Shaler officiating. Burial will follow at Fort Custer National Cemetery in Augusta. Contributions in memory of Hayes may be made to the U.S. Marine Corp League or to Wings of Hope Hospice in Allegan. 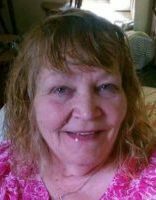 Pamela Ann (Pillars) Phillips 45, of Otsego, MI, passed away on August 19, 2018. 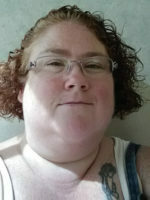 Pam was born in Allegan, MI on March 10, 1973 to Jenny & Ron Pillars. She graduated from Otsego High School in 1991 and continued on to receive an Associate’s degree from KVCC. Pam married the love of her life, Douglas James Phillips on October 16, 2010. Pam worked for her parents at Jenny and Ron’s Market for 19 years. In 2014 she started working at Right at Home as an in home caregiver. She loved her job and being able to help people. However she was forced to quit after only 2 years due to doctor’s orders from a bad back. She was an animal lovers and enjoyed spending time with her dogs. Pam also loved gardening, crafts of all kinds, spending time with her husband and traveling the USA. She was also actively involved in preparing taxes for low income families through the United Way for 10 years. Pam in survived by her husband & soulmate, Doug Phillips; step-son Anders and Darcy Dumont Phillips, adoptive daughter, Mallery (Liedel) & Eric Hermenitt; parents, Jenny & Ron Pillars; father and mother-in-law, Jim and Judy Phillips; brothers, Bob & Terri (Jackson) Pillars, Ken & Jennifer (Kellar) Pillars; brother and sister-in-law, Dennis & Tania (Hale) Phillips; nephews, Bobby & Brooke (Nuyan) Pillars and Soren Phillips; nieces, Jamie Pillars, Sarah Pillars, Samantha Pillars, Danielle Pillars, Stephanie & Jenn (Carpenter) Pillars; many great nieces and nephews; her beloved dogs, Pandora and Mini and her rooster, Odin. Pam is preceded in death by her grandparents, Raymond & Verla (Baker) Pillars and Irvin & Ethel (Fletcher) Fuller and her niece Ronda Lee Pillars along with some aunts and uncles. Friends may visit with Pam’s family from 6-8 P.M., Friday, August 24, 2018 at the Winkel Funeral Home, Otsego where a memorial service will be held at 11:00 A.M., Saturday, August 25, 2018 with Erika Smith of Wolfbane officiating. In lieu of flowers contributions in memory of Pam may be made to the Kalamazoo Humane Society. 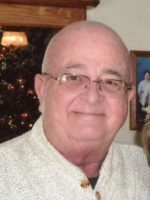 John ‘Jack’ Oberhill of Plainwell passed away Friday, August 17, 2018 in Portage. Jack was born September 20, 1941 in Lake Charles, LA to Harold and Elizabeth (Joslin) Oberhill. He graduated from NYU with a double major in Mathematics and Economics and had retired from R.R. Donnelley & Sons Printing Co. in Chicago. Jack was an avid golfer, enjoyed sailing and had raised Andalusian horses. In 2010 in Plainwell he married Janelle Turner who survives. Also surviving are his sons, Erik (Cindy) Oberhill of Bowling Green, KY, Karl (Margaret) Oberhill of Cincinnati, OH and Mike (Katherine) Oberhill of St. Charles, MO; 6 grandchildren, Andrew (Brandi), Stephen, Sydney, Samantha, Sasha and Joanna; his siblings, David Oberhill and Mary Beth “Mernie” Williams. Jack was preceded in death by his parents and a brother Larry Oberhill. According to his wishes cremation has taken place and a Memorial Gathering will be held at a later time. Contributions in memory of Jack may be made to St. Jude Children’s Hospital or a Hospice of your choice. 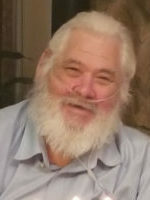 Jerry passed away Wednesday, August 8, 2018 at the Allegan County Medical Care Community. She was born September 28, 1917 in Allegan the daughter of Martin and Pearl (Durand) Akom. Jerry was a 1935 Allegan High School graduate and lifelong resident of the area. She attended Mahar’s Business College and as a young woman had worked as a secretary for the County Road Commission. On April 7, 1940, at her parent’s home in Allegan she married her high school sweetheart, Lawrence Nyberg. 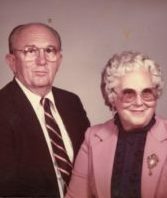 They were married for over 50 years and together they operated Nyberg Funeral Home in Allegan from 1940 -1980. Jerry was a member of the First Baptist Church in Allegan and the Lady Lions. She enjoyed snowmobiling and waterskiing at Miner Lake, playing bingo, eating candy and spending the winters in Florida. She was happiest when surrounded by her family and helping others. Surviving are her daughters, Sandra (Douglas) Grabe of Kalamazoo and Sally (Michael) McCall of Hastings; 5 grandchildren, Kimberly (Paul) Chaffin, Kelli (Michael) Smith, Kristen (Jeff) Chaffin, Chris Grabe and Melissa (Ed) Mohlman and 11 great-grandchildren. She is preceded in death by her parents; husband, Lawrence in 1991; brother, Wilbur “Bill” Akom and sister, Thelma Stratton. A graveside service will take place at 11:00 A.M., Saturday, August 18, 2018 at Hudson Corners Cemetery with Pastor Nathan Smith officiating. Contributions in memory of Jerry may be made to the First Baptist Church in Allegan. 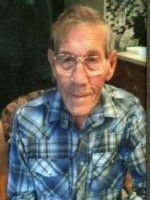 Marvin passed away Saturday, August 4, 2018 at Life Care Center in Plainwell. He was born October 26, 1953 in Albion the son of Calvin and Beverly (Drinkwater) Cox. Marvin enjoyed fishing, CB radios and listening to country music, especially Johnny Cash and Conway Twitty. On June 17, 1972 he married Nancy Ripley who passed away in 2016. Surviving are his children, Jessy Cox of Kalamazoo, Rebecka (David) Collard of Plainwell and Tanya Markley of Martin; 7 grandchildren, Ericka, Saprena, Shelby, Jordan, Hannah, Savannah and Blake; 4 great-grandchildren, Jacob, Jaiden, Adalynn and Elise and his siblings, Robert Cox, Steven Cox, Elaine Cowels, Nora Cheyne, Dora Watson and Michelle McCloud. He was preceded in death by his parents and his wife. Burial of ashes will take place at Mountain Home Cemetery at a later time. Jodi passed away Friday, August 3, 2018 at her home in Kalamazoo. She was born August 16, 1971 in Kalamazoo the daughter of Thomas Kruithoff and Cheryl (Adams) Case. 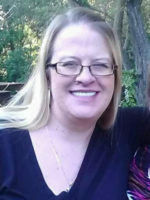 Jodi was a 1989 Plainwell High School graduate and as a young woman had worked at Spencer Gifts and had also done children’s photography. Most recently she had worked at Phoenix Properties and McDonalds. Jodi was always happy, enjoyed making people laugh and wasn’t afraid to speak her mind. She liked playing cribbage and cards, doing crossword puzzles and hanging out with her lifelong friends from 12th Street. She spent the last 15 amazing years with her Lovey, fiancé, Terrance Sistrunk. Jodi loved her family dearly. Surviving are her children, Katie Earl of Plainwell and Jackson Cook of Kalamazoo; grandson, Chance Lee; fiancé, Terrance; her parents; siblings, Leah Darrow, Cy Kruithoff and Jonah Metzer along with several nieces and nephews. She was preceded in death by her step-mother, Judy Kruithoff; brother, Scott Kruithoff and her grandparents. Friends may meet with Jodi’s family starting at 10:00 A.M., Wednesday, August 8, 2018 at the Winkel Funeral Home, Otsego until the time of the funeral service at 11:00 A.M., with Pastor Tom Davenport officiating. Burial of ashes will take place at Mountain Home Cemetery, Otsego at a later time. Contributions in memory of Jodi may be made to her family for a scholarship for her grandson. Daryl B. 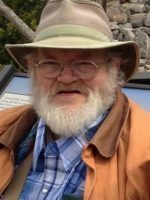 “Chick” Gall of Plainwell passed away Friday, August 3, 2018 at Borgess Medical Center in Kalamazoo. He was born September 17, 1952 in Plainwell the son of Howard and Dorthea “Mickey” (Bruce) Gall. Daryl proudly served his country in the US Airforce. For many years he had worked at Checker Motors until his retirement in 2009. Daryl (Chick) enjoyed golfing, bowling and doing crossword puzzles. He loved spending time with his good friend Jim and his dog Axel playing frisbee golf. Daryl liked to canoe on the Pere Marquette River with his old softball buddies, Wazoo, Polock, Jammer, Dodger, Wrong Way, JT, Joe and Bubby Dude. Surviving along with his good friends is his brother, Dean Gall of Otsego. He was preceded in death by his parents and sister, Dale. Danny passed away Thursday, August 2, 2018 at Borgess Medical Center in Kalamazoo. He was born October 29, 1943 in Plainwell the son of Paul Sr. and Maxine (Adams) Staley. For 36 years he had worked at Plainwell Paper and for 9 years at Perrigo until his retirement. Danny had a great sense of humor and a gentle soul. He enjoyed fishing, going to the beach, tractors and smoking cigars. He liked following the Detroit Tigers and Lions and the Green Bay Packers. Most of all he loved spending time with his family. On August 19, 1977 in Kalamazoo he married Nancy (Bean) Bower who survives. Also surviving are his children, Lori Cimino, Chris Jewell, Debbie (Brett) Wallace, Daniel Staley, Daniel (Shannon) Bower and Sheryl (Randy) Pion all of Otsego; 12 grandchildren, 4 great-grandchildren, sister, Linda Staley of Allegan; his good friend, Bret Furtwangler and his dog, Elton. He was preceded in death by his parents, sister, Carol Staley and brothers, Paul Staley Jr. and Dale Staley. A memorial celebration will be held from 1-5 P.M., Saturday, August 18, 2018 at the Otsego Masonic Temple. Contributions in memory of Danny may be made to Helen DeVos Children’s Hospital.